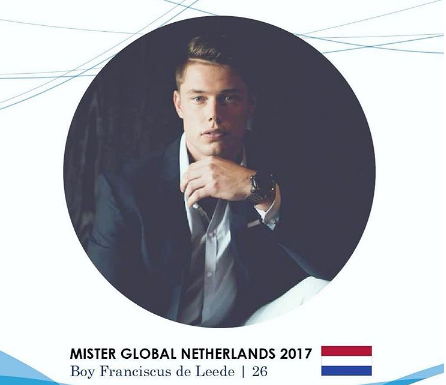 Mister Global Netherlands is Boy Franciscus de Leede. He is a 26-year-old account manager. The 1.98 m tall model will now have the honor of representing the Netherlands at the 4th Mister Global Pageant.